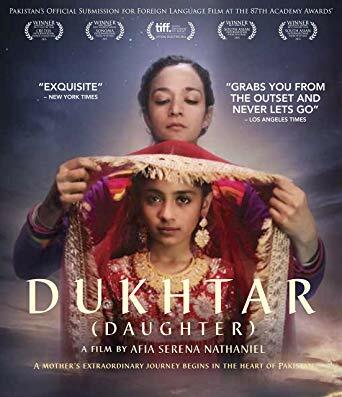 Dukhtar which in Urdu means daughter is a film from Pakistan and premiered at Toronto . It was screened in several other film festivals and went on to win many accolades for the subject it handles. A ten-year-old girl becomes part of a truce between two feuding tribes when her father decides to give her hand in marriage to the head of the other tribe. Her mother is obviously vexed and decides to take the girl and run. And as forgiving is a trait that does not get along well with honour, the runaways have an arduous road ahead. A truck driver with problems of his own takes them with him. The movie is about their struggle to stay alive against many odds. Second half of the movie and how it ends do not justify the intensity with which it all starts. Some of it has to do with the half-baked performances. 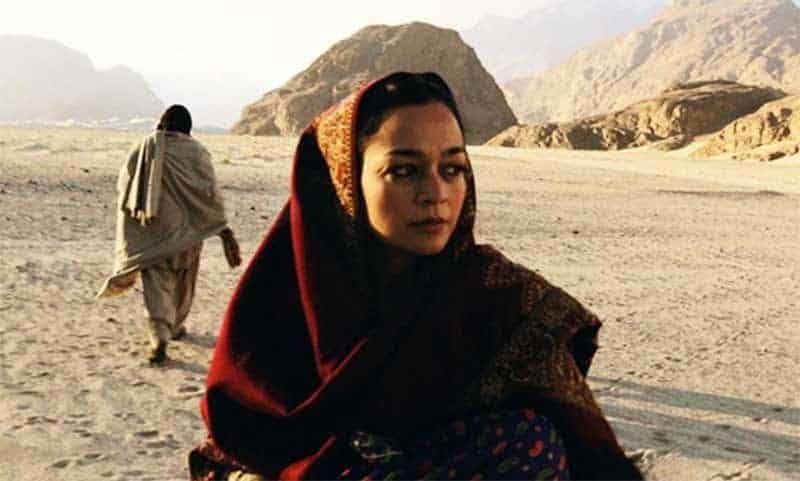 The cast was for the most part underwhelming, though Samiya Mumtaz gave a decent performance as the mother Alla Rakhi (a well thought out name). The little girl played by Sahela Arif didn’t have much to say or do, rather than look pretty and that was shameful. More facets added to her character would have done wonders. The bonding between the driver and the mother may have diluted the sensibilities that lay at the heart of the narrative. Neither the script nor the performances had enough meat to have killed two birds with one stone. There are movies from this genre which are real gems and they do come with some common factors. The cast should have the stamina for their emotions to last the entire trip. Interactions with others on the road being a realistic part of the experience. Scenic beauty of the road blended in effortlessly, crisp dialogues and music add to these and ensure that the poignance is maintained till the very end which in turn would leave a permanent mark. Though not similar storylines, Jean Luc Godard’s “Breathless” and Hector Babenco’s “Pixote” are great examples. ‘Highway’ from across the border in India too comes to mind. Randeep Hooda’s performance as the truck driver was no small contribution to the movies’ success. Cinematography by Armughan Hassan and Najaf Bilgrami has used the terrain beautifully. The mountains and valleys which are part of the landscape, in a way reflect the lives of womenfolk in the region. The power of a woman may not have been as easily wielded as portrayed, but when Dukhtar needs someone to fight for her, it is her mother whose selflessness and courage knows no bounds.